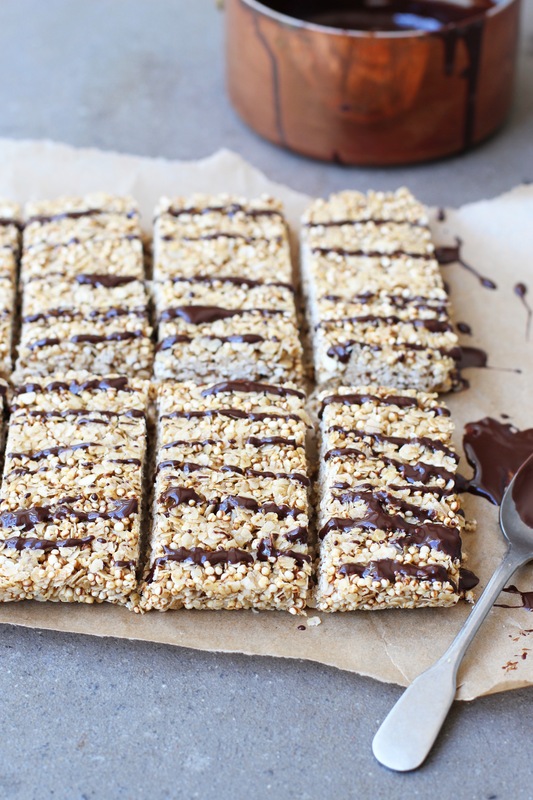 These have the most satisfying chewy texture and a lovely crunch from the crispy quinoa pops. 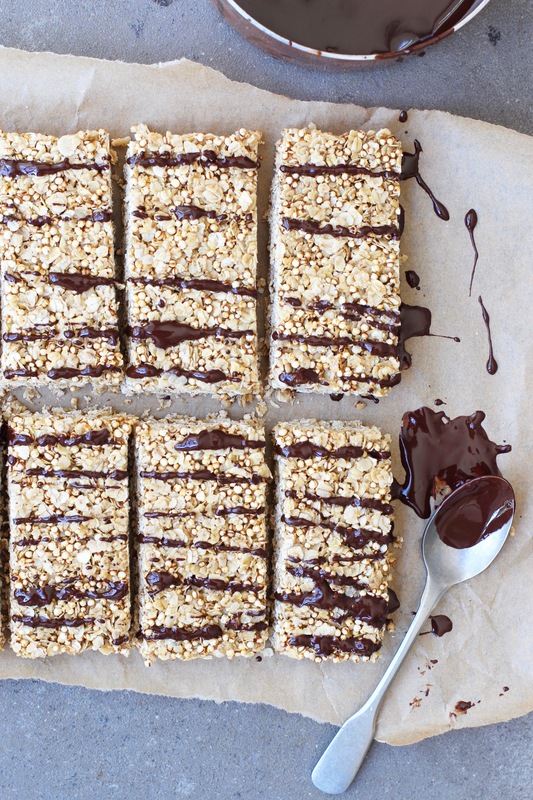 They’d be great for kids, they’re kind of like rice crispy treats reinvented! I can never resist drizzling on some dark chocolate but they’re gorgeous on their own too. Preheat the oven to 180’C. Spread out the quinoa pops and oats on a roasting tray and bake for about 5 minutes until golden. Whisk together the coconut sugar and honey in a small saucepan over medium heat until the coconut sugar dissolves. Stir in the salt and vanilla essence. In a large bowl, pour the sweet mixture over the oats and quinoa pops and mix well. Then pour in the melted coconut oil and mix again. Press the mixture very firmly into a small baking tin lined with parchment paper. Pop it in the fridge for about an hour to set, then slice. After you’ve sliced them, melt the chocolate and drizzle it over the bars.